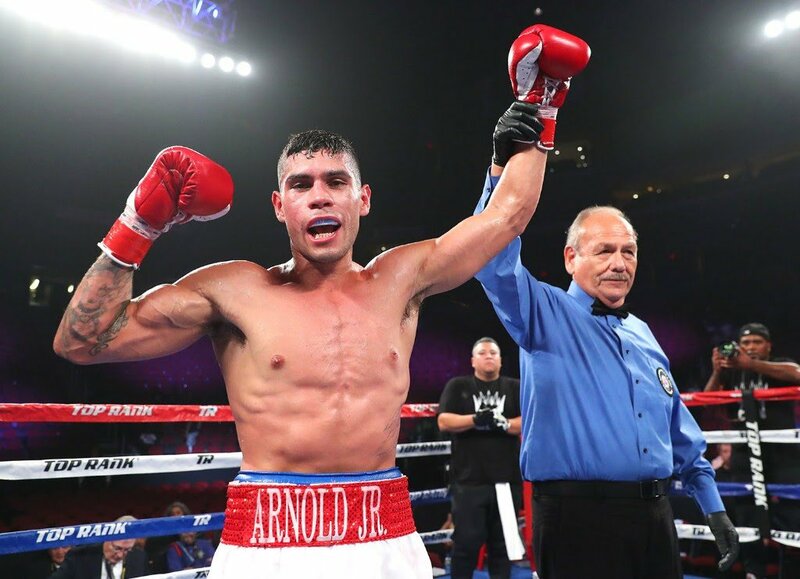 Arnold Barboza Jr. is hungry for a 140-pound world title shot. The Los Angeles native, who has fought all but one of his 19 professional bouts in California, will head to Texas intent on staking his claim as one of the division’s top contenders. Barboza will face Manuel Lopez on Friday, Dec. 14 in a 10-rounder for the NABF junior super lightweight title at the American Bank Center in Corpus Christi, Texas. Barboza-Lopez will be the co-feature to the previously announced rematch featuring WBO champion Gilberto “Zurdo” Ramirez and No. 1 contender Jesse “Hollywood” Hart. Ramirez-Hart 2 and Barboza-Lopez will stream live at 10 p.m. ET on ESPN+ — the new multi-sport, direct-to-consumer subscription streaming service from The Walt Disney Company’s Direct-to-Consumer & International segment in conjunction with ESPN. The entire undercard will stream live on ESPN+ beginning at 6:30 p.m. ET. Barboza (19-0, 7 KOs), a native of Los Angeles, is 2-0 in 2018, including a hard-fought 10-round unanimous decision against Mike Reed on March 10 in Carson, Calif. Lopez (14-2-1, 7 KOs), a native of Denver, is entering this fight on a six-bout unbeaten streak dating back to a competitive 2015 decision loss to then-undefeated Kevin Watts. Mikaela Mayer (8-0, 4 KOs), the 2016 Olympian and one of the brightest stars in female boxing, will defend the NABF super featherweight title in an eight-rounder against Calixta Silgado (17-10-3, 12 KOs). Big-punching Joshua “Don’t Blink” Greer Jr. (18-1-1, 10 KOs) will take on Daniel Lozano (15-5, 11 KOs) in a 10-rounder for the vacant WBC Continental Americas bantamweight title. Greer, who has won seven of his past eight bouts by knockout, is coming off a third-round TKO against Giovanni Delgado on Sept. 28 in Oakland, Calif.
Gabriel Flores Jr. (10-0, 5 KOs), the 18-year-old fighting sensation from Stockton, Calif., will make his sixth ring appearance of 2018 against Edward Kakembo (10-5, 3 KOs) in a six-round lightweight bout. Top junior lightweight contender Jamel Herring (18-2, 10 KOs) will continue his march toward a world title shot when he faces former junior featherweight world title challenger Adeilson Dos Santos (19-5, 15 KOs) in an eight-rounder. Top prospect Ruben Vega (11-0, 5 KOs), from Mazatlán, Mexico, will clash with Oscar Mojica (11-5, 1 KO) in a six-round super flyweight battle. In a six-rounder at super bantamweight, Jesus Arechiga (6-0, 6 KOs) will look to keep his knockout streak alive against David Martino (6-5, 4 KO). Roberto Duran Jr. (1-0, 1 KO), son of the all-time great, will see action against Leonardo Pena (0-2) in a four-rounder at welterweight.